In 2016, 50% of press sales were expected to be digital, and that number is projected to increase to 75% in 2020. The risk of entering into digital printing is gone, it’s no longer early adoption – don’t get left behind. But choosing the right solution for your business is no simple task. Run sizes, applications, job management, pressroom capacity and more all contribute to whether you retrofit existing flexo equipment or invest in a new, complete digital workflow. 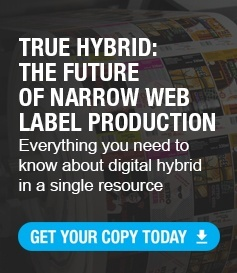 The experts at Mark Andy realize it’s not a one-size-fits-all solution and offer a robust portfolio of digital hybrid solutions designed to fit any sized converter for any sized job. These solutions are the most flexible options to grow your printing business offering you continuous innovation to meet the ever-changing customer demands.